We are always looking for well qualified, God honoring teachers at HCA. Please contact us if interested. If you are interested in enrolling a student and/or would like to receive an enrollment package…click here. Make a secure online payment using PayPal. Click below. Enter your amount and choose payment method to the right: PayPal account or Credit Card. 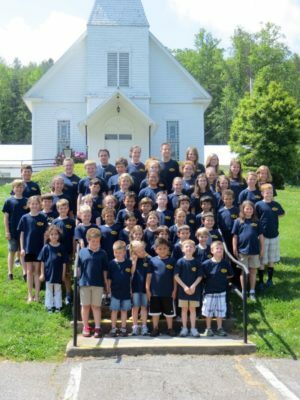 Established in January 2008, we are a nondenominational Christian school serving grades pre-K through ninth in Sylva, North Carolina. Heritage Christian Academy has small classes and offers a Christ-based education for the development of well-rounded students. Students at Heritage Christian Academy are not only challenged on an intellectual level, but also at a spiritual level through a Christ-centered, Bible-based curriculum. Heritage Christian Academy’s intent is to provide a private school option that emphasizes areas of academics in which the country, in general, has lagged. This emphasis in math, science and foreign language is integrated with spiritual truths that are found through a relationship with Jesus Christ. Whether you are a current student or a parent looking for a school for your child, we hope that you will find this site to be a useful source of information about all aspects of life at Heritage Christian Academy. HCA, Inc. is a 501(c)(3), tax exempt organization for both federal and state tax purposes. Contributions are tax deductible to the extent allowable by law. It’s not too late to apply for the Opportunity Scholarship! Your child could be eligible for a $4,200 scholarship!